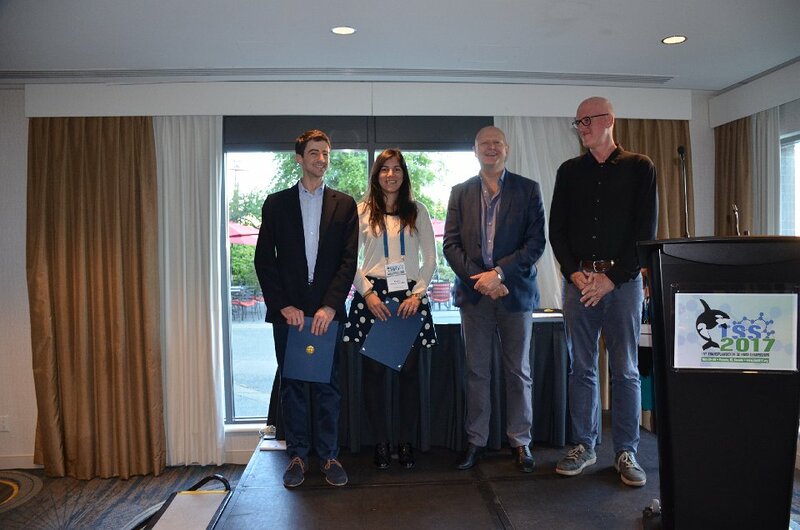 We are delighted to announce that Restore Fellow Rebeca Arroyo Hornero and her supervisor Dr Fadi Issa have been honoured with an award at the Transplantation Science Symposium in Vancouver, Canada. The International Transplantation Science Mentee-Mentor award recognises the efforts of established scientists to support and guide young investigators and was awarded jointly to Rebeca and Fadi following their presentation to the conference titled “Modulation of CD27/CD70 co-stimulatory pathway may allow for the generation of a more potent human regulatory cell product for cell therapy”. This year the award was made possible by the Spanish Society of Transplantation. This marks the second time which Rebeca and Fadi have received this award (the first being in August 2016 at the International Transplantation Congress in Hong Kong). Rebeca and Fadi are working on improving cell based therapies for preventing rejection in human transplantation. The therapy in question is already in clinical trials in renal transplant patients. Altering the body’s immune system to prevent the rejection of transplanted tissue could completely change the treatment options available for patients with burn injuries. We are incredibly proud of the work which Rebeca and Fadi continue to pursue and this prestigious international award is testament to the high quality and cutting-edge nature of the research which Restore makes possible.